WE DID IT! THE CORAL SONATA IS ON ITS WAY! We are overjoyed and thankful for all the support we received! 205 backers enabled us to raise over $21,000 to bring artist Caecilia Tripp to Miami as our fourth artist in residence! Keep up to date with our progress by clicking HERE and follow the development of The Coral Sonata! We made it on the Kickstarter Projects we Love page on our first day! Campaign is going strong but we need everyone to support and share! CROWDFUNDING CAMPAIGN TO LAUNCH ON OCTOBER 10! Excited to announce our crowdfunding campaign to support ARTSail upcoming spring 2019 residency with artist Caecilia Tripp. On October 10 we are launching a Kickstarter campaign to raise funds for Tripp's ambitious research and sound project, The Coral Sonata. 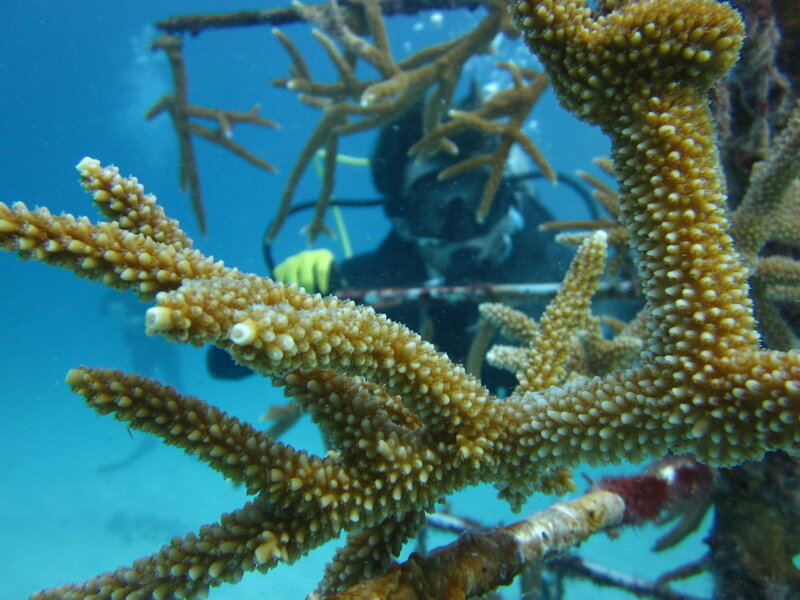 During her residency, she'll use state-of-the-art technology to record the underwater sounds of South Florida's diverse coral populations, documenting an audio portrait of the effects of climate change. We are sorry to announce that Mark Lee Koven’s interactive installation, the outcome of his ARTsail residency, will be postponed to a later date. One Drop at a Time is an immersive interactive and participatory installation that integrates data collection, education and technology with art. Participants have the opportunity to better understand their local climate as well as share personal stories, beliefs, and perceptions about climate change. Participants are immersed in a 360-degree surround sound and video loop that includes video footage shot during Mark Koven’s ARTSail residency in South Florida, as well as 3D printed objects and interactive activities taking place inside of a mobile planetarium dome. ART AND THE RISING SEA -FreshArtInternational Episode Release! Excited to share the conversation aired on Jan 10 organized by #FreshArtInternational! Thank you Cathy Byrd for organizing! 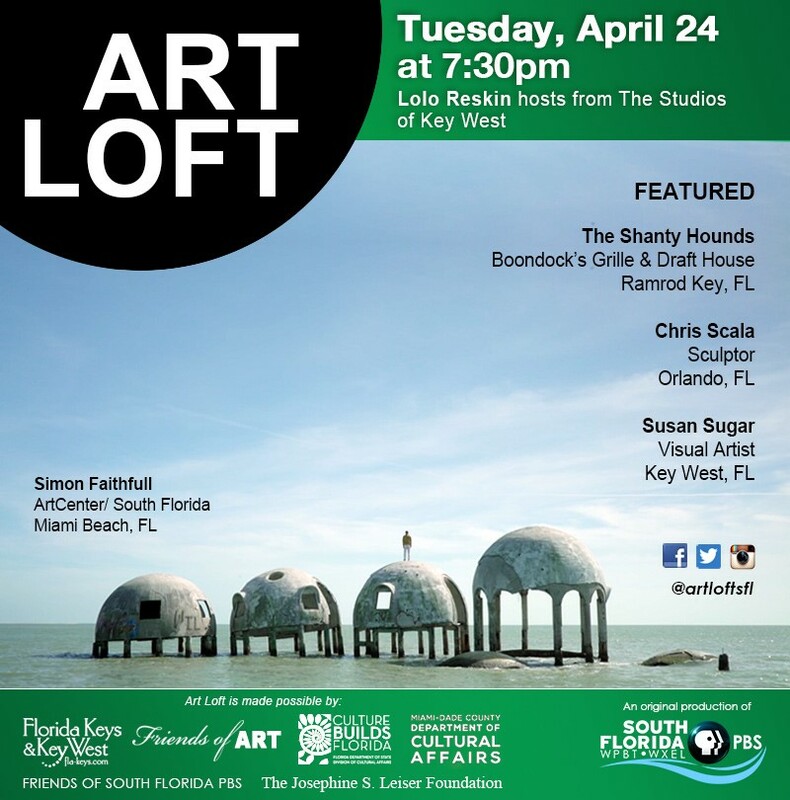 Fresh Art International offers a look at how the sea has sparked ArtCenter/South Florida's current creative initiatives—from residencies to exhibitions, with a special focus on a new Art and Public Life Residency, the upcoming "Intertidal" exhibition and the Knight Foundation-funded ArtSail Residency program exploring the Miami waterways. Berlin-based artist Simon Faitfull will be back in Miami on Jan 9 to complete his residency, started in August 2017. Stay tuned for more updates via our social media feed! We are thrilled to announce the arrival of our second resident, curator Blanca de la Torre. Blanca is a Spanish curator, currently based between Spain and Mexico City. From 2009 to 2013, she was the Chief Curator at ARTIUM, Basque Museum-Center of Contemporary Art(Vitoria-Gasteiz, Spain). Since 2014, she curated exhibitions at museums and institutions in Europe, Latin America and the US as an independent curator. Her interest in environmental art, eco-aesthetic and eco-feminism brought her to explore these subjects through her curatorial activity and her writings. She recently inaugurated the exhibition HYBRIS at the MUSAC (Museo de Arte Contemporaneo de Castilla y Leon). As part of her ARTSail research residency, Blanca de la Torre will lead a discussion on Hybris, a group exhibition she curated at Contemporary Art Museum of Castilla y León (MUSAC), which sought to rethink the potential of art as a tool for action in relation to today’s environmental concerns. This lecture is free and open to the public. It is part of the three day workshop ECOAESTHETICS. Rethinking Environmental Aesthetics organized by de la Torre for ArtCenter/South Florida.